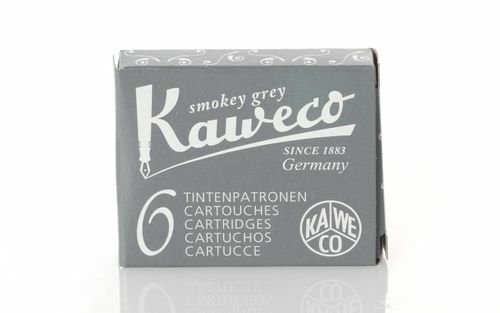 Kaweco Fountain Pen Ink Cartridges short, Smokey Grey (Grey), 120 pc. 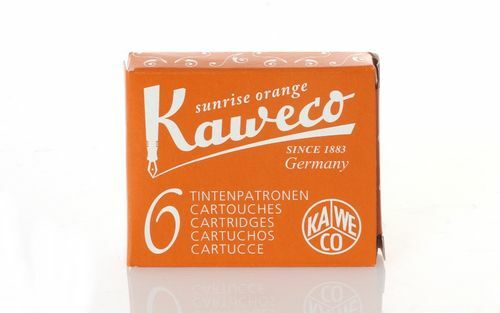 Kaweco Fountain Pen Ink Cartridges short, Sunrise Orange (Orange ), 30 pc. 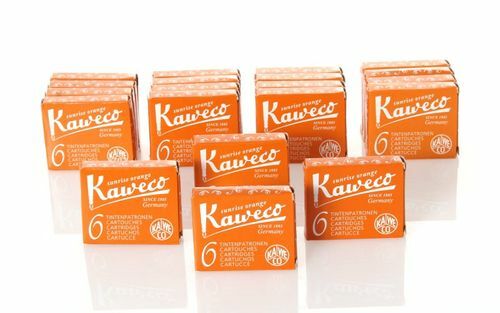 Kaweco Fountain Pen Ink Cartridges short, Caramel Brown (Brown), 120 pc. 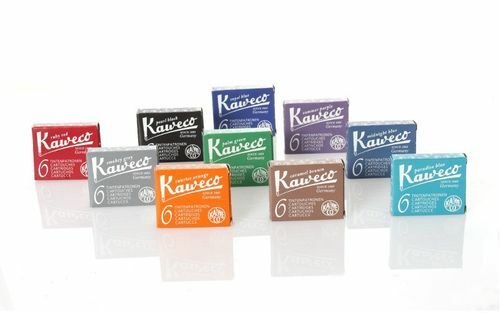 Kaweco Fountain Pen Ink Cartridges short, Ruby Red (Red), 120 pc. Kaweco Fountain Pen Ink Cartridges short, Paradise Blue (Turquoise), 120 pc. 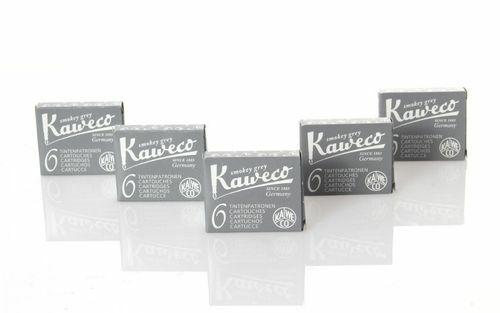 Kaweco Fountain Pen Ink Cartridges short, Royal Blue (Blue), 120 pc. Kaweco Fountain Pen Ink Cartridges short, Paradise Blue (Turquoise), 30 pc. 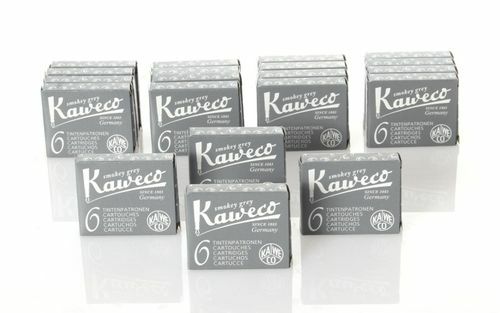 Kaweco Fountain Pen Ink Cartridges short, Summer Purple (Purple), 30 pc. 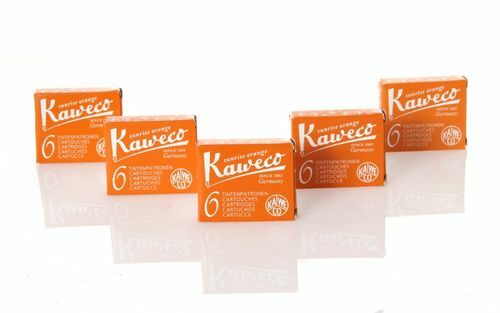 Kaweco Fountain Pen Ink Cartridges short, Caramel Brown (Brown), 30 pc.